If you have tinnitus, or ringing in the ears, you’re not alone. About 20% of all adults in the United States suffer from tinnitus and at least 2 million Americans say that “phantom” noises in their ears make it nearly impossible to for them to function normally in day-to-day life. Lipo-Flavonoid Plus contains #1 doctor-recommended lemon bioflavonoids and other essential nutrients to help support ear health. Clinical experience reported in medical literature indicates that patients can experience considerable benefit from lemon bioflavonoids without side effects. For best results, new users should take two caplets three times each day preferably after a meal (six caplets total each day) for 60 days. Then, after experiencing some level of relief, try switching to maintenance usage (one caplet three times each day preferably after a meal.) Click here for more detailed instructions. If you experience sleep disturbances related to your tinnitus learn more about Lipo-Flavonoid® Night with melatonin as well as Sonorest Sleep Tones™, designed specifically to provide soothing sound ranges to help tinnitus sufferers create a comfortable and relaxing sleep environment for easier rest. 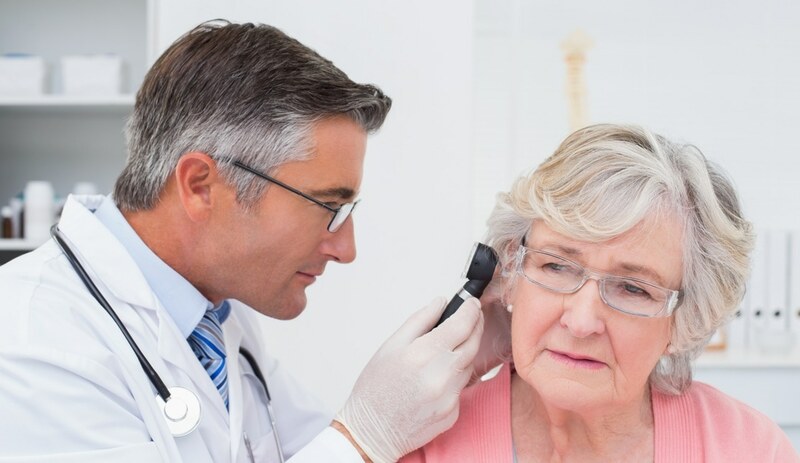 Tinnitus is a condition that has a number of contributing factors and causes, and there is no known treatment that will bring complete relief to all sufferers. 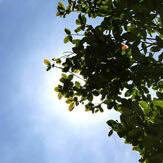 However, Lipo-Flavonoid has been shown to provide relief for some people who suffer from tinnitus. While Lipo-Flavonoid may not work for everyone, we stand behind our product, our history and our results. If you don’t find relief from ringing in the ears with use of Lipo-Flavonoid as directed for 60 days, we will refund your purchase. 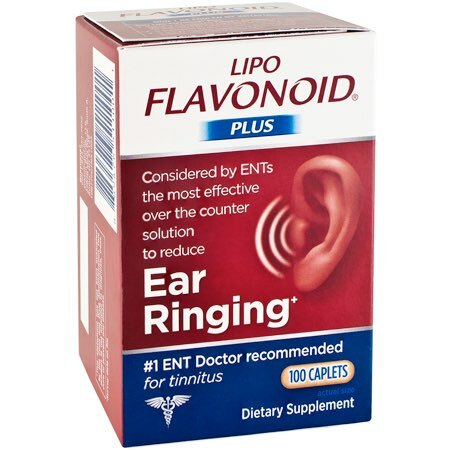 A 2018 survey of 250 ENTs shows that 77% recommend OTC products/supplements to their tinnitus patients and of them, 74% said that Lipo-Flavonoid® is the brand they recommend the most. Q: How much Lipo-Flavonoid should I order? The key to finding relief with Lipo-Flavonoid Plus is proper use. For first-time users, take two caplets three times each day preferably after a meal (six caplets total each day) for 60 days. The 360 count special pack is ideal for first-time users. If you see results after 60 days, then switch to maintenance usage. For maintenance dosage, take one caplet three times each day preferably after a meal (three caplets total each day). If you don’t find relief from the ringing in your ears after taking Lipo-Flavonoid® Plus as directed for 60 days, we will refund your money. Lipo-Flavonoid Plus is formulated in an FDA registered facility, using only the highest quality, standard pharmaceutical-grade ingredients. Each ingredient is rigorously tested for full potency and maximum purity. During manufacturing, each ingredient is subjected to physical, microbial and analytical testing to detect even the slightest quality deficiency. All testing and safety checks, conducted at every stage of the manufacturing process, ensure the product is safe from bacteria and other contaminants. The expiration date on each bottle guarantees its full potency through the date stamped. Take two Lipo-Flavonoid® Plus caplets three times each day preferably after a meal (six caplets total each day) for 60 days. 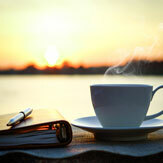 After experiencing some level of relief, try switching to maintenance usage. 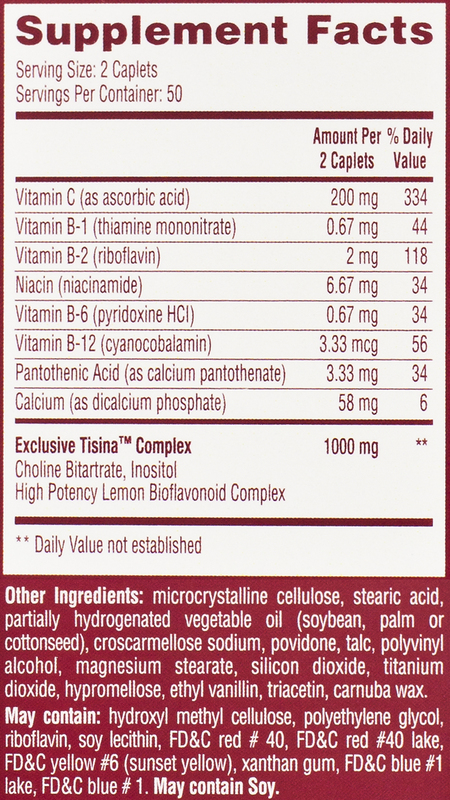 Take one Lipo-Flavonoid® Plus caplet three times each day preferably after a meal (three caplets total each day). April 2018 Survey. Clarion Brands Inc. data on file. Williams H, Hedgecock L. Citrus Bioflavonoids, Ascorbic Acid and Other B-vitamins in the Treatment of certain types of neurosensory deafness a preliminary report. Staff meeting of the Mayo Clinic (1962). Tinnitus Overview. Mayo Clinic website http://www.mayoclinic.org/diseases-conditions/tinnitus/basics/definition/con-20021487. Accessed Sept. 7, 2016. Understanding the Facts. American Tinnitus Associations website https://www.ata.org/understanding-facts. Accessed Sept. 7, 2016. Slattery WH, Fayad JN. Medical treatment of Meniere's disease. Otolaryngologic Clinics of North America 1997; 30:1027-37. Kumar S, Pandey AK. Chemistry and Biological Activities of Flavonoids: An Overview. The Scientific World Journal. 2013;2013:162750. doi:10.1155/2013/162750. Fetterman BL, Saunders JE, Luxford WM. Prognosis and treatment of sudden sensorineural hearing loss. Am J Otol 1996; 17:529-36. Arenberg I, Bayer R. Therapeutic Options in Meniere’s Disease. Arch Otolaryngol 1977;103: 589-93. Shaia F, Sheehy J. Sudden sensori-neural hearing impairment: a report of 1,220 cases. Laryngoscope 1976; 86:389-98. Herschberg S. Meniere’s disease. J Am Osteopathic Association 1974; 73:540-6. Wolfson R. Treatment of Meniere’s disease. Modern Treatment (1969) 6,3, 553-567.